Hey, Do you take specism cases? Haha good one. 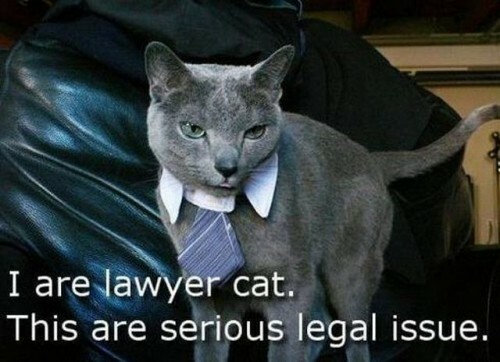 Anything for you mister P to the B.
I am a sharp looking lawyer cat all right. Careful, you don’t want to be found in Contempt of Cat!